Most people install this application either with intrusive advertisements that were encountered earlier. 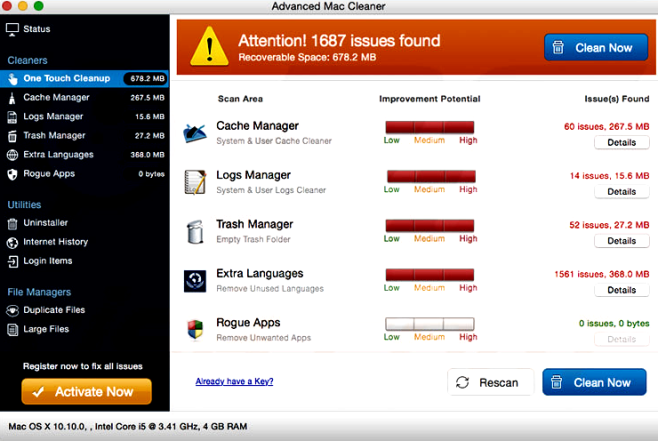 Super mac cleaner also comes with free downloads from the Internet when user downloads other free software. Super Mac Cleaner comes with specially designed installers and downloaders that contain advanced menus. Therefore we advise you to pay attention to what you download and read everything carefully. Go to Applications folder and delete Super mac cleaner and other new and suspicious apps. Remove Super mac cleaner and another suspicious extensions, then change browsers’ homepage, new tab page, start page and default search engine.